eDev™ II features greater safety, greater reliability, greater efficiency and greater performance. Safety is the number one priority at Orica. All of our electronic detonators have several safety features that are inherent in the design of the product including spark gaps, input and bleed resistors, and the chip itself. Dual voltage ASIC (Application Specific Integrated Circuit) allows inherently safe at-face test-ability. Dual voltage modes of operation allows for higher energy fuse. Very high resistance to initiation by extraneous electrical energy (based on simulated lightning studies). Reduced misfires due to increased reliability. eDev™ II can be integrated with i-kon™ CEBS (Centralised Electronic Blasting System). The CEBS system can be used to ensure easy and centralised remote blasting from a convenient and safe control point. 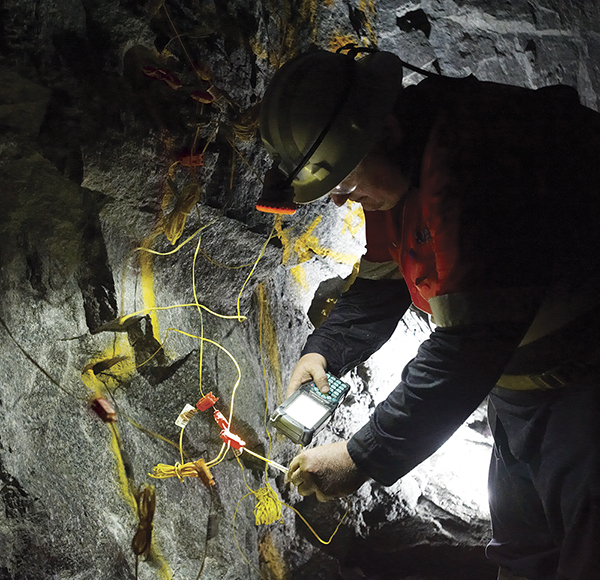 Blasting with Orica’s electronic detonators can also deliver valuable safety outcomes – not only in application, but via over-break control giving better and safer side walls and hanging walls. Aerospace development partner for ASIC and PCB (Printed Circuit Board) to achieve reliability by design. Pre-packaged ASIC for more reliable bonding to the board. State-of-the-art stress testing of PCB to segregate weak units. Five times stronger communication-back signal from detonator to Tester or Blast Box. 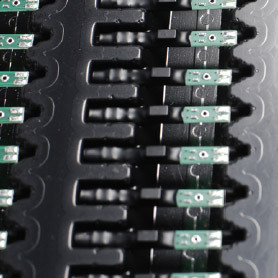 A large range of detonator IDs, virtually eliminating the chance of duplicate IDs on a blast pattern. To make blasting with eDev™ II even more efficient, we canvassed our field experts and customers worldwide to assess what users valued most. A significant new feature of the eDev™ II is at-face testability. 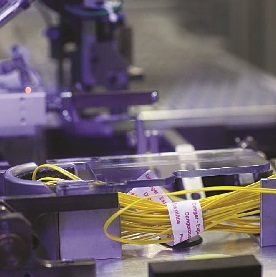 This ensures greater operational efficiency by giving you the opportunity to test the wiring network, and correct errors at the face, before the working area is cleared and guarded. This reduces delays before blast time and ensures you can use your equipment and resources more effectively. Load by Numbers technique offers a step change in face loading efficiency for underground blasters. You can now design blasts using the SHOTPlus™-T blast design software to specify the millisecond delays required between delay numbers and within delay numbers. With eDev™ II and its ‘Load by Numbers’ system, every box of detonators is filled with identical detonators that are not individually numbered. You simply load any detonator into any hole and the process of barcode scanning ensures that the appropriate firing sequence meets the specified blast design. It is easy to learn and apply by blast crew. 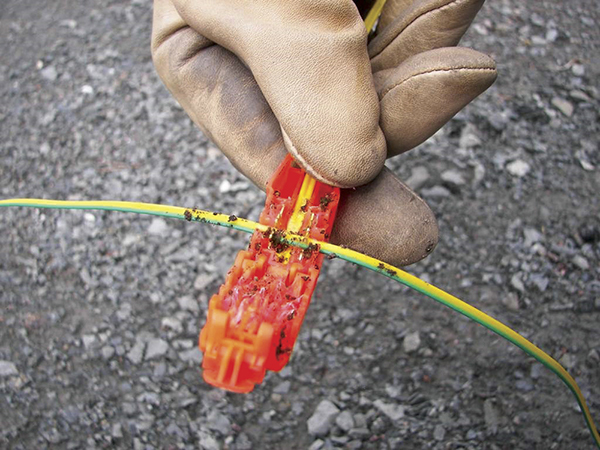 eDev™ II detonators are delivered as a single-item per wire length. That means a much easier inventory system not having to stock delays and the ability to save time at the face. Faster blast programming time and faster hook-up on blast day via a new connector and duplex harness wire. Improved packaging – stronger box will survive humid storage conditions better. Barcode scanning of eDev™ II detonators. eDev™ II now offers a range of new features to drive greater precision and performance. Multiple heading blasting can be achieved due to the increased maximum delay time and increased precision of the eDev™ II detonator, as well as the multiple heading firmware within the new eDev™ II scanners. This is a strong feature for operations that look to achieve a lateral heading for infrastructure such as an electrical substation or vehicle storage area. eDev™ II allows for a much greater range of blast sizes, ensuring the blaster can optimise operations and accommodate a greater variety of tunnel sizes. Guaranteed single shot firing and greater precision of delay (0.01% coefficient variation) ensures in‑sequence firing even at the longest delays.